B&G Ltd. - B&G is one of the leading manufacturers of sunscreen systems in Ukraine. BASF, an international chemical producer, is to invest EUR 2 million in a new plant that will produce concrete additives in the town of Obukhiv, Kyiv region, which is to open next spring, Managing Director (CEO) at BASF Ukraine Andreas Lier has said. The Ukrainian Chamber of Commerce and Industry is a non-governmental, non-profit, self-governing, members’ organization which functions in Ukraine since 1972. The activity of the Chamber is regulated by the Law of Ukraine «On chambers of commerce and industry in Ukraine». Representing a new participant in the 2018 exhibition, the brand - the Italian brand "FERRARI & CIGARINI"
Take a walk through downtown Philadelphia and you may come across an unusual box-like structure nestled in between the classic and modern architecture of the area. Colour and architecture go hand in hand. Polish company Galeco brought to the domestic construction market, the so-called, (uncarcined) gutter system Hidden Gutter System. From April 1 to 30 you will get a chance to pull off iPad! UAH 5 million has been already allocated by the city budget, reported ABCnews. In 2016 Ukrainian enterprises carried out construction works in the amount of USD 70.9 billion, reported StroyObzor with reference to the state statistics. On March, 2 the Construction Congress of Ukraine, as a part of KyivBuild 2017 Exhibition hosted the Digital Construction conference. On March 3 "Workforce in the Construction Industry" Conference was held. Компания “Golden Tile” выпустила новую напольную коллекцию глазурованного керамогранита «Валенсия». Названа в честь живописного региона Испании, она передает своим дизайном дух манящего Средиземноморья. Stylam Industries, where creativity and skills meet with each other to change the definition of a range of laminates. Adeplast is the leader of Romanian construction materials for insulation and finishes market. Visitors of KyivBuild 2017 would be able to check out premium exposition of roofing and facade materials. For the first time the exhibition will feature new collections largest Iranian producer of tiles - Tabriz Tile. The company "Golden Tile" will present a new collection of tiles "Hydrangea" at the exhibition. Prime Minister Vladimir Groisman requires the relevant agencies fully prepare for the start of large-scale construction of roads before April 1st. В ассортименте клинкерного кирпича Terca, предлагаемого компанией Wienerberger для своих покупателей в Украине появилась новая позиция - кирпич SILESJA BRUNO. On the ground floor of one of central Kyiv’s turn of the century apartment buildings, is a hidden gem of contemporary design. Harvesting the energy of the sun with solar panels on the roofs of private houses is becoming an increasingly popular way of producing clean energy and cutting homeowners’ electricity bills. 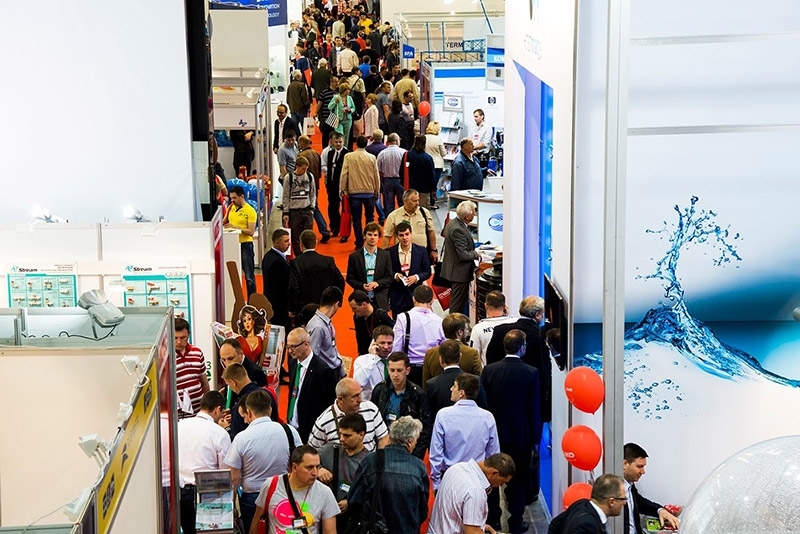 Today, on 17th of March 2016, 18th International Exhibition Aqua-Therm Kyiv has opened its doors for visitors. The first day of the exhibition has proved a great interest of the audience – professionals from all regions of Ukraine came to attend the show. Dear visitors and exhibitors! Thank you for being with us in the international building and construction exhibition KyivBuild 2016! Municipal enterprise Kiev Metro has announced a tender for the construction of a new metro line on housing estate with a budget of 60 million UAH. By the end of the year the capital of Ukraine has to decide who will be construction and design contractors. Greek company, SABO S.A. presents innovative technology and solutions for the Ukrainian producers of building materials. On the Christmas and New Year Eve the KyivBuild staff warmly wishes stability and prosperity to your business. The Ukrainian building and construction market is back on positive track, especially when it comes to real estate. The implementation of energy efficiency measures triggered growth of the economies of Eastern Europe. Energy efficiency and management has to become a growing point of the Ukrainian economy. This was reported today on 5th of October to journalists by the economist of World Bank in Ukraine - Anastasia Golovach. Espreso. In 2016 funding of the State Fund for Regional Development will increase to 5 billion UAH (230 million USD). International Monetary Fund (IMF) Director Christine Lagarde has said that Ukraine's economic reforms are starting to yield results, and the country is on the cusp of "turning the corner". The warm months are about to end and most Ukrainians start considering how they can save money in winter time, when communal bills are expected to rise even more dramatically. The most recent numbers of residential construction in Kiev finally showed some growth despite the crisis in the country. Oschadbank - Ukrainian state bank is continuing to help the Ukrainians to make their homes energy efficient and to save money. Poland is ready to invest $ 200 million in the construction of the new Kyiv metro line to Troieschyna district. Vice Prime Minister of Ukraine Valeriy Voschevsky met with a delegation of Polish investors in order to strengthen economic cooperation. Tuesday, March 3, the 19th International Construction Exhibition KyivBuild 2015 opened at the IEC. YUM trading house presents IP-DVRs from Russian company Byterg. Two new BESTNVR digital video recorders will ensure stability in any video surveillance system. Ministry of Economic Development and Trade predicts GDP growth in Ukraine in 2015 by 1.5%, if the armed conflict in Donbass will end in 2014. Minister Pavlo Sheremeta told this at the Ukrainian-Japanese forum. New draft Kyiv general urban plan provides for the construction of more than 100 road interchanges in the city. This was reported by the press service of Institute of the General Urban Plan of Kyiv. Leading Israeli construction company Ashtrom is interested in cooperation and implementation of large-scale infrastructure projects in Ukraine. The roundtable organised by MediaPriceCentre, Ukrainian Association of Foam Plastics Manufacturers, building portal Bprice.ua. Each year The National Union of Architects of Ukraine supports in holding the great international architectural and building forum - KyivBuild. It is a professional international exhibition in the building sector which invites manufactures and suppliers of the modern building materials, equipment and technology for urban construction and interior solutions and also represents investment and development projects. 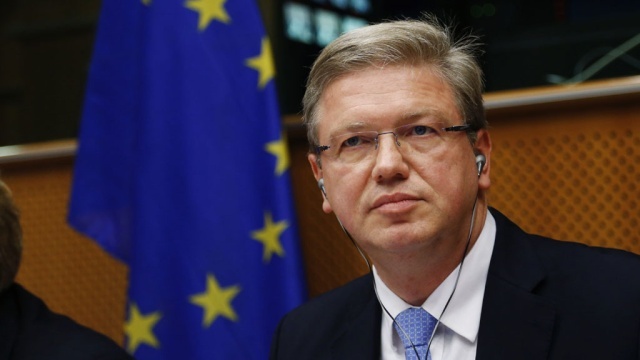 In the interview to Radio Liberty Russian service, European Commissioner for Enlargement and Neighbourhood Policy Stefan Fule has underlined that the EU-Ukraine Association should not affect the economic interests of Russia in Ukraine. In March 2014 Knauf Insulation Ukraine launched a new rolled thermal insulation material EKOROLL, which has already won the sympathy of consumers due to German quality and competitive price. On May, 14, that will be confirmed by the International scientific conference "Energy efficiency and energy saving in the sphere of housing and municipal economy as a mainstream for development," initiated by the Ministry of Regional Development, Construction and Housing of Ukraine. The agenda of the conference includes more than 20 burning issues (See the programme online www.aqua-therm.kiev.ua./ru/programme2014). The business programme of the exhibition includes more than 40 hours of 20 events. New services and programmes for business visitors launched by organisers helped to attract only professional audience. PJSC "Kyivenergo" in 2014, taking into account the poor technical condition of heat distribution networks of district heating and hot water, as well as networks of large diameter (trunk) in Kyiv, plans to replace about 100 km networks. Ministry of Economic Development and Trade of Ukraine respects and expresses gratitude to ITE Group Plc (UK) and Premier Expo (Ukraine) for organization of international exhibitions that annually become the most significant business events in Ukraine. Tomorrow, March 4th, leading architectural and construction exhibition forum opens in Kyiv. Stands mounting is in high gear in the pavilions of the International Exhibition Centre on the left bank of the Dnieper, as everyone is going to the leading professional building exhibition KyivBuild 2014, as well as Intertool Kyiv, BuildTech and KIPS international specialised exhibitions.